To use our MakerBot Replicator 2 3D printer, you will be required to sign a waiver and attend an orientation session. 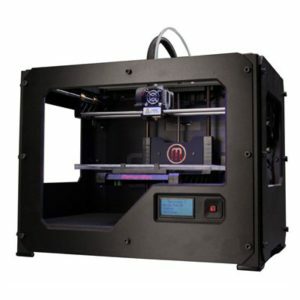 The MakerBot is available on a first-come basis for 3-hour increments. There is no charge for using the MakerBot. Users pay 10 cents per gram for the PLA filament used. Users under 16 must be accompanied by a parent or legal guardian.